Gordon has become a national expert on badgers and bovine TB. He has met with Defra ministers, supported Ministerial advisory groups, presented evidence to Parliamentary select committees, permitted nature reserves to be used for Government bTB badger vaccine work, visited research teams in England and Ireland, organised information seminars and led The Wildlife Trusts on this subject. Whilst at the same time being mindful of the serious impact that bovine TB has on the efficiency of farming and the welfare of farmers, which includes his own family. Gordon continues to work with and advise The Wildlife Trusts on the issue of badgers, cattle and bovine TB. The Wildlife Trusts are very conscious of the hardship that bovine TB (bTB) causes in the farming community and the need to find the right mechanisms to control the disease. However, we believe that a badger cull is not the answer. Biosecurity and vaccination should be at the centre of efforts to tackle this disease rather than a badger cull. 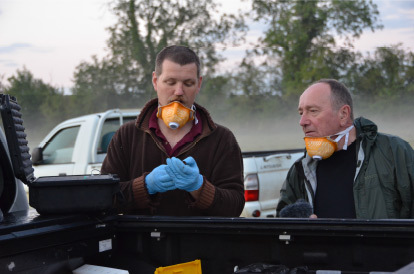 Biosecurity: All possible measures should be pursued to prevent disease transmission on-farm. Badger vaccination: Support landowners to use the injectable BadgerBCG vaccine. We also urge Defra to continue development of an oral badger vaccine. 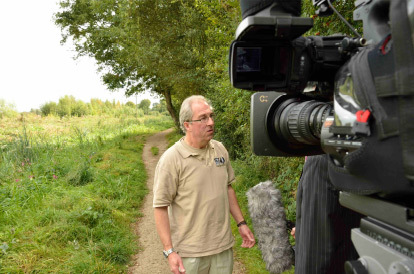 In late 2010, Gordon led Gloucestershire Wildlife Trust in the deployment of the new bTB badger vaccine (BadgerBCG) making it the first private organisation in the UK to do this. This work, which has been funded by the Trust’s members, began in mid June by specially trained Trust staff on a set of nature reserves where the badger vaccination could be used practically, to the benefit of the Trust’s, and its neighbour’s, cattle. This work has been very influential in broadening the debate about controlling bovine TB away from the single issue of a badger cull. The use of BadgerBCG on Wildlife Trust nature reserves is being copied by 10 Trusts. 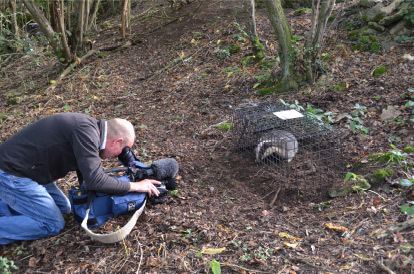 See more about Gordon’s involvement in the Badger archive of the blog.